If you're facing criminal charges of any kind, consult a skilled defense attorney in Wisconsin right away. If you've been accused of battery or domestic abuse charges in Wisconsin, read the article, "The Guide to Battery Charges and Penalties in Wisconsin" by Stangl Law for important information. "If I'm Innocent, Why Should I Hire a Lawyer?" There's a common misconception that you don't need a lawyer if you're innocent of the crime you've been accused of committing. However, being innocent and being found innocent are two very different matters. Regardless of the reason you might end up being taken into custody, you have a right to an attorney. Unfortunately, sometimes people do get convicted of crimes they didn't commit--impacting their freedom, families and financial futures. To help achieve your best possible result, it's important to contact an established criminal defense attorney with a strong record of success. If you're facing criminal drug charges in Wisconsin, read the article, "Drug Charges in Wisconsin: What You Need to Know" by Stangl Law. "What Should I Tell Police if I'm Innocent?" If you are approached for questioning by the police, you should calmly and politely refrain from answering any questions and, instead, ask to speak to an attorney--even if you're innocent. It is in the best interest for your defense not to answer any questions until you have the guidance of an attorney to help you understand the implications of what is being asked. Your freedom can depend upon it. Contacting an experienced attorney instead of answering law enforcement's questions may be the best way to protect your innocence in the end. Read the article, "Do I Need a Lawyer if I'm Being Investigated by Police in Wisconsin" by Stangl Law for important information. "What Should I Do If I Was Arrested for a Crime I Didn't Commit in Wisconsin?" If you've been charged with a crime in Wisconsin, don't put off contacting a criminal defense attorney because you believe your innocence will be enough to get the charges dismissed. Unfortunately, simply being innocent may not be enough to prove your innocence in court. As a result, many innocent people fall victim to criminal charges and their implications for a lifetime. Regardless of your innocence, whenever you are charged with a crime in Wisconsin it's in your best interest to contact an established criminal defense attorney. 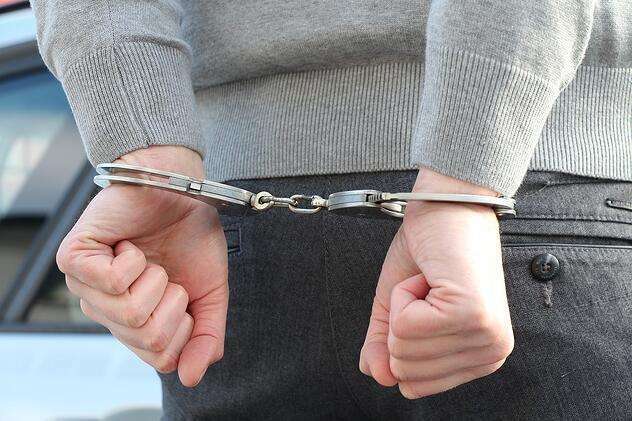 Don't make the mistake of failing to hire an established criminal defense attorney if you're facing criminal charges of any kind in Wisconsin; contact Stangl Law for a FREE Consultation today. "What Can I Do If I Was Convicted of a Crime I Didn't Commit in Wisconsin?" If you've been found guilty of a crime in Wisconsin, but believe you're innocent, you may be wondering if you have any options. The best course of action to take if you feel you were unjustly convicted of a crime in Wisconsin, is to consult a knowledgeable criminal defense attorney experienced with in criminal appeals to find out more about appealing your case. If you were already convicted of a crime you didn't commit, watch the video, "3 Things You Should Know Before Appealing a Criminal Conviction in Wisconsin" by Wisconsin Defense Attorney Pat Stangl. Madison Criminal Defense Attorney Pat Stangl has been providing aggressive and proven defense for clients across the state of Wisconsin since 1991. Attorney Stangl is dedicated to protecting the rights of the innocent and fights to achieve the best result possible for his clients. Attorney Stangl is pleased to offer you a FREE 15-Minute Consultation at no obligation to discuss the circumstances threatening your freedom that have you concerned. Click the link below to get started.